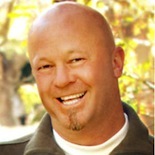 Thomas Dana Tormey, Jr. died Saturday, December 24, 2011 at age 50. Tom was born on April 18, 1961 in Lynn, MA to Dorothea and Thomas Tormey. He was raised in Nashua, NH, attended Nashua High School and graduated from Keene State College in 1985. Tom met his “lovey”, Kristin Woolley, and they married in December 1994. They spent 17 wonderful years together, and brought four beautiful daughters into the world; Madison, Colby, Sydney and Kendall. Tom was involved in the computer networking business for the last 26 years; for the past nine he owned and operated his own successful networking company. Tom especially loved to golf, boat, and ski. He was known for his long drive, but had a great game to support it. He was good at anything that he tried and was quite a perfectionist. Tom loved his girls and treated them like queens. He loved to watch them as they were involved in their activities and was their biggest cheerleader. He was so proud of all of them. It was always “Tommy and the girls”. Tom is survived by his wife, Kristin; daughters, Madison, Colby, Sydney and Kendall; Mother, Dorothea; sister, Laureen; and brother, John. He is preceded in death by his father, Thomas Dana Tormey. A celebration of his life will be held at 11 a.m. on Thursday, December 29, 2011 at the Mapleton LDS Chapel on 1316 South Main Street in Mapleton. Friends may call Thursday morning from 9 to 10:30 a.m. at the Chapel. Interment will be at the Evergreen Cemetery in Springville following the service. Funeral arrangements are entrusted to Berg Mortuary in Provo. Condolences may be e-mailed to the family through the obituary on www.bergmortuary.com.